All 12 members of a missing children's soccer team and their coach were found alive on Monday, more than a week after the group became trapped in a Thailand cave, according to officials. Chiang Rai Governor Narongsak Osottanakorn said that the group of boys, ages 11 to 16, and their coach, 25-year-old Ekkapol Janthawong, were successfully located by naval special forces on July 2. The team was first reported missing when a park officer came across the boys' bicycles near an entrance to an off-limits cave complex at Tham Luang caves in Chiang Rai on June 23, according to CNN. The group had apparently been exploring a prohibited section of the popular tourist attraction when heavy rains flooded portions of the caves, trapping them inside. The intensive nine-day search for the team garnered international media attention, as well as assistance from rescue teams from the United States and other countries. 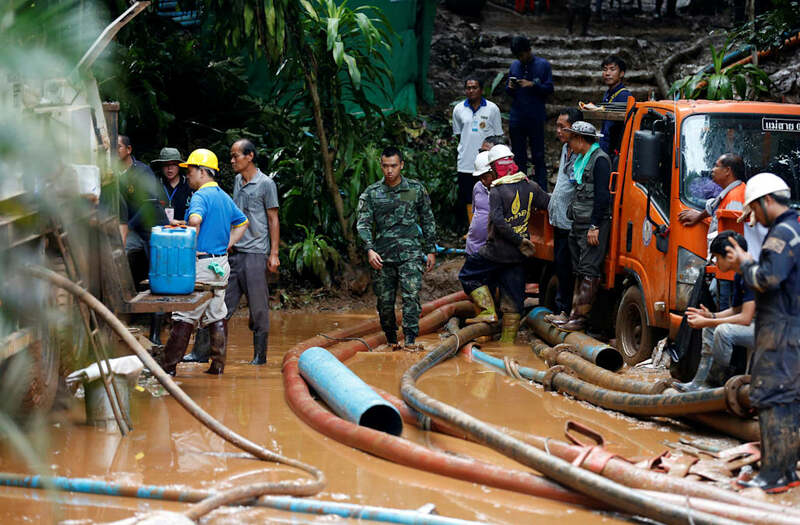 Although the team has been found alive, rescuers are still in the process of removing the group from the flooded caves, according to Governor Osottanakorn. "They are all safe but the mission is not completed," he said during a press conference, according to the BBC. "Our mission is to search, rescue and return. So far we just found them. Next mission is to bring them out from the cave and send them home."